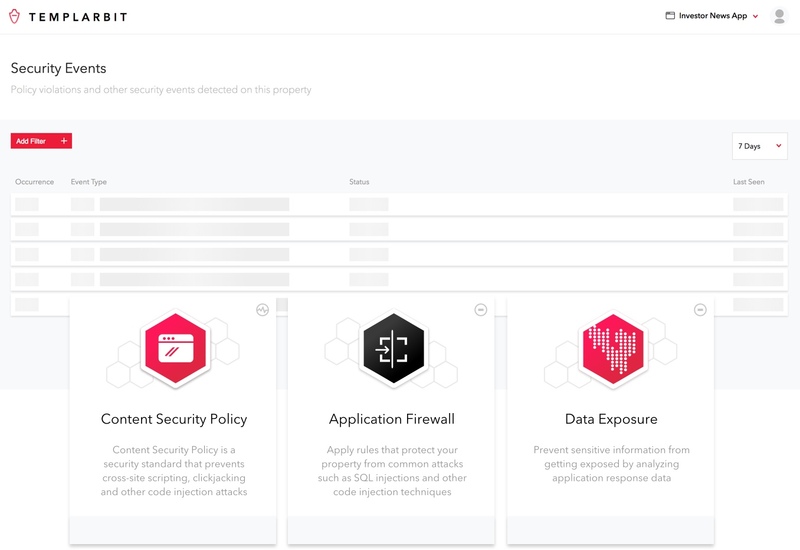 Prevent attacks on your applications and APIs before they affect your business with a more intelligent security platform. > Templarbit now available in the official Docker Store. Templarbit secures the software that runs your business. Our AppSec Intelligence Platform stops malicious traffic, helps you keep sensitive data from getting exposed and will discover anomalies that could be early indicators of a breach. We're bringing the best of machine learning to application security so that you can be more efficient, find unusual patterns faster and automate some of your security tasks. Perfectly integrated with the tools that are already part of your infrastructure. Incredible organizations from startups to some of the worlds largest enterprises trust Templarbit to protect their software applications, APIs and microservices. Try Templarbit free for 14 days.